Preheat oven to 400 degrees F (200 degrees C). Line a baking sheet with a silicone baking mat. Spread cauliflower onto prepared baking sheet. 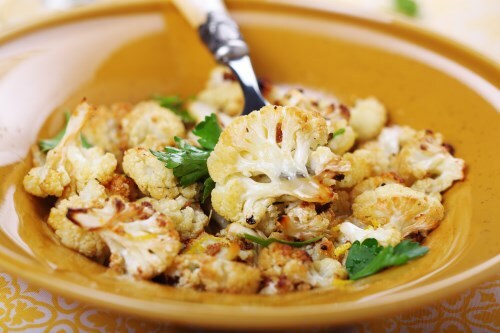 Brush each piece of cauliflower with melted butter. Season with salt and black pepper. Roast in the preheated oven for 30 minutes. Flip cauliflower and continue roasting until tender and golden, about 10 minutes more.